Scotland’s national music prize, The Scottish Album of The Year (SAY) Award, has just announced which ten enthralling albums have made 2018’s Shortlist. The Shortlist represents an incredibly strong, diverse and important selection of albums created by artists living and working in Scotland. The SAY Award celebrates and champions the best of Scottish music whilst recognizing creativity and artistic endeavor encompassing a broad spectrum of musical genres. The Shortlist was chosen by a highly-respected panel of judges including Strawberry Switchblade’s Rose McDowall, BAFTA award-winning film maker Lynne Ramsay and curator of National Museum Scotland’s ‘Rip It Up: The Story of Scottish Pop’, Stephen Allen. Each Shortlisted album has automatically won a guaranteed £1,000 prize, with the winning album (decided on the night of the Ceremony) being awarded £20,000. The Skids, famous for ‎their hits ‘Into the Valley’, ‘Working for the Yankee ‎Dollar’ and ‘Masquerade’. The 72-hour voting window, which closed at midnight on Wednesday, saw a record number of Public Votes being cast by engaged music fans, all hoping to secure their favourite Longlisted album a place on the 2018 SAY Award Shortlist. The winner of the Public Vote was Franz Ferdinand for ‘Always Ascending’. The SAY Award 2018 judges are Derek Robertson (Editor-in-Chief at Drowned in Sound), Davy Wales (Performer Development Specialist at PPL), Sarra Wild (DJ/Promoter), Stephen Allen (Head of Learning and Partnerships and curator of ‘Rip It Up: The Story of Scottish Pop’ at National Museums Scotland), Mark MacKechnie (Promoter at Riverside Festival / Electric Frog / Melting Pot), Bob Last (Co-founder, Fast Product), Caroline MacLennan (Director at HebCelt Festival), Rhiannon Mair (Producer with projects including Laura Marling, Bryde, Emma McGrath and Kimberly Anne) Rose McDowall (Musician, Strawberry Switchblade), Lynne Ramsay (BAFTA winning film director) and David Martin (Creative Director at Hidden Door Festival). 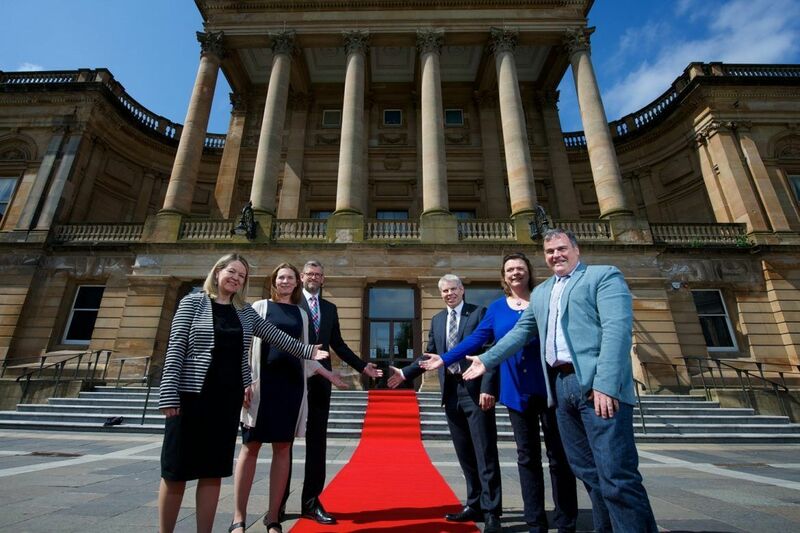 The final award ceremony takes place on Thursday 6th September in the elegant surroundings of Paisley Town Hall, with support from Renfrewshire Council. All ten Shortlisted artists will receive an exclusively designed, commemorative award, created by the winner of The SAY 2018 Design Commission.